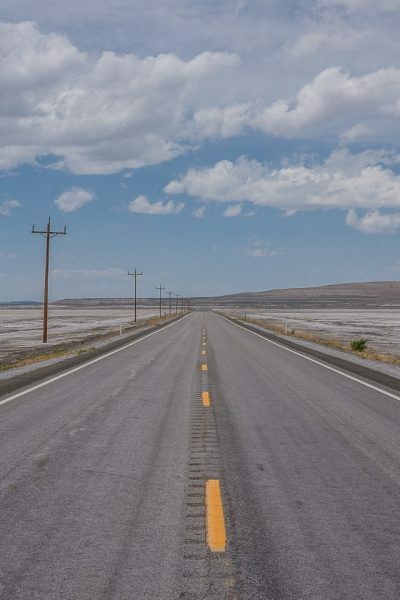 There’s nothing like a Great American Road Trip? Don’t you think? 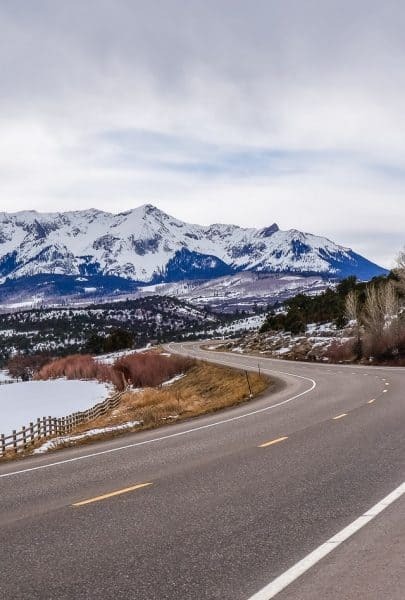 Back in the old days you had to have a pile of tapes to keep you entertained, paper maps, guide books, and much more in order to be prepared for life on the road, but now we’ve got a handful of awesome road trip apps. 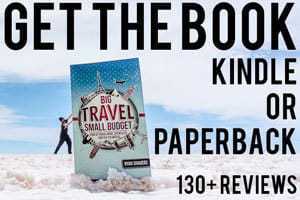 Those romantic wanderings of Jack Kerouac and others in the pre-Internet days are well and good, but today all those resources can be distilled into your smart phone with a number of amazing apps that will help you plan a road trip and you will have the best resources at your fingertips. I’ve driven across the American West on two multi-month road trips, and even drove all the way across Central America. 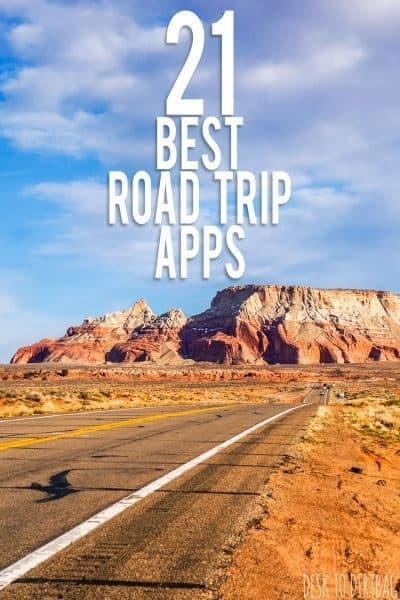 I’m very familiar with life on the road and what is useful when planning a road trip… Here are a few of my top apps for road trips. 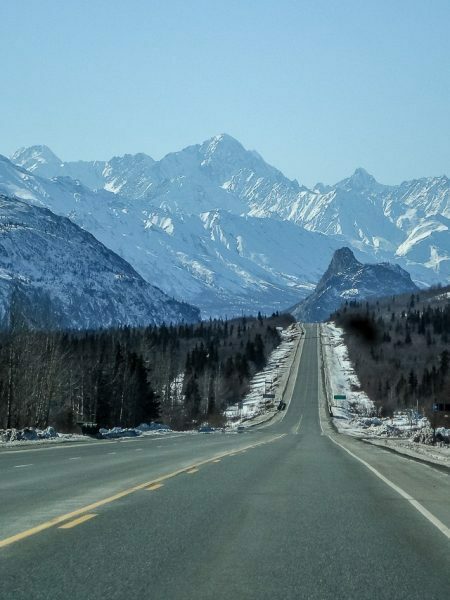 So why not quit your job, drive a few of the most scenic roads in the USA, and use these apps to help you plan the perfect road trip and to help you out along the way. I’ve always loved real life paperback books, but when you are traveling it is just a drag to bring along a pile of books to keep you entertained while on the road. Thankfully with the Amazon Kindle app you can have an entire library at hand with free or cheap books. I generally prefer to read on my Kindle Paperwhite, but since the furthest page read syncs across devices, you can pick up where you left off at any time. If you have an Amazon Prime membership you can also borrow books from the Kindle Owners’ Lending Library. Foursquare is a great resource while road tripping to find recommended restaurants or popular places nearby. It’s always great to just stumble across somewhere that’s cheap and delicious, but sometimes it is just better to rely on the hive mind of the Internet and see where the most popular places in town are. I prefer to spend my money eating out at somewhere that’s really worth it, rather than just something mediocre. Like Foursquare, Yelp is a good choice for finding reviews of restaurants, hotels, and more while on a road trip. I usually use both Yelp and Foursquare to get a general idea of what is around me as well, without having to drive all over town. That way if I am, say, in the mood for Indian Food, I can take a quick look at these apps and if it has decent reviews, I’m on my way! Swarm is a companion app for Foursquare but is specifically for checking-in to places. There is a gameified aspect where you compete against friends, become mayor, earn coins and all of that, which is fine, but isn’t really the draw of the app for me. I like the app because it serves as a sort of quick and easy diary to remind me of places I’ve been to and when I went there. You can easily scroll through your history or even take a wider view of geographic areas on the map. That way, a year or two from now if you are ever racking your brain asking yourself “when was it that I was driving through Colorado?” or “what was that delicious Mexican restaurant in Las Cruces?” you can just open up Swarm and find out. Generally while I am on the road I am camping, but every once in a while it is nice to spring for a nice place to stay the night. If I’m going to shell out the money to stay somewhere, I would much rather stay in a small private rental on Airbnb that includes use of a kitchen, rather than staying in a hotel room and being forced to eat out all the time. If you’re new to Airbnb, you can claim a free $25 credit toward your first stay with my link. I like to track my expenses on the road, to know just how much I am spending on food, gas, lodging, etc so I know if I am staying on budget or if I am spending too much money this month. AndroMoney is a great and robust means to track expenses across the board and is something that I continue to use on a daily basis. Planning and budgeting resources are an important tool to have among your arsenal of road trip apps. Fuel Buddy is a great way to track your gas expenses as you travel, you can enter your odometer, how many gallons, and the price per gallon to have a great ongoing record of your expenses for gas, as well as your efficiency in miles per gallon. 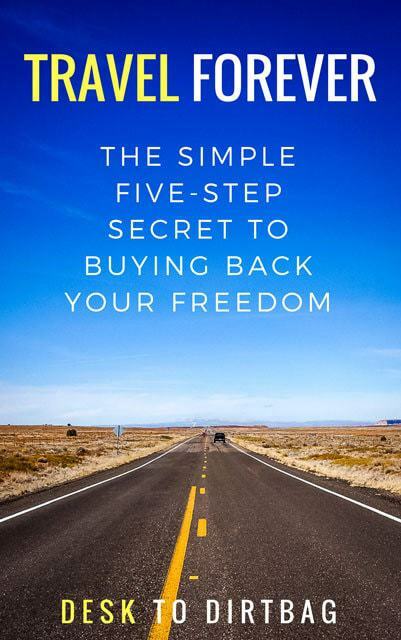 Depending on how fast you are traveling on your road trip, you may be surprised at how much you are spending on gasoline. It certainly helps to have a fuel efficient vehicle or to do the math with a road trip gas calculator. While tracking your gas you can also ensure that your MPGs stay relatively even throughout the trip, a sudden or drastic change may indicate some underlying mechanical issue that you should address. You can also track service and car maintenance records. Speaking of gas, the GasBuddy app is great for finding the cheapest gas in town. Users report the prices as they fill up which gets added to the database, and allowing you to save at least a few pennies per gallon. When you are on a big road trip, every penny counts, and they certainly add up over time, which makes this one of the most important road trip apps you can have. Starbucks is my reliable go-to when I need to sit down and use the internet on my laptop. It’s basically my internet cafe. The app is great to have because you can keep a little cash on your account (and automatically refill in small amounts when it dips below a certain level) and then just pay with your cellphone. The biggest reason though to become a Starbucks reward member though, is that you get free refills on all the simple coffee and tea drinks. So you can grab a tall black coffee for cheap, hang out for a few hours using the internet and get a few refills while you are at it. Sometimes while you are traveling or scrolling through Facebook, an article will catch your eye but you don’t have time to read it right now. Enter Pocket. If you stumble across something something cool, just save the article to Pocket for offline access, then you can come back to it that evening before bed or whenever you’ve got the time. Instagram might seem like a strange recommendation for a road trip app, but if you go to the Search bar, and then click on Places, you will see Nearby Places. You can load up photos in the general vicinity and sometimes uncover some really cool places that you might not know to look for. 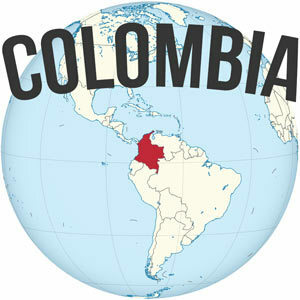 It can be a great little source of travel inspiration and information when you are in a new and unknown area. Plus Instagram also makes a great way to document photos from your own road trip and share them friends and family along the way. Be sure to give me a follow on Instagram! There is nothing more frustrating than driving right past something really, really cool because you didn’t even know it was there. I did just that when I drove past Horseshoe Bend the first time without realizing it. 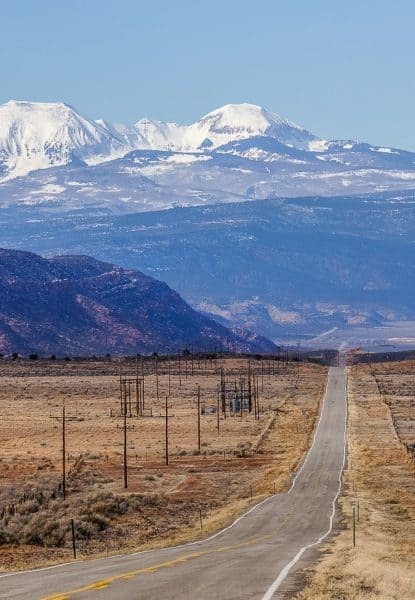 Roadtrippers is a great little app that will offer up some interesting attractions and detours between your points A and B, so at least you know if there is something that you should be checking out on your road trip. I frequently find myself in dead zones or places without data service, that’s where Triposo comes in. You can download offline maps and guidebooks to keep on hand during your travels. These guidebooks are available for individual states, cities, and even many countries around the world, and have come in very handy during my travels. If you’ll be spending considerable time on the highway, you’ll often be wondering what sort of amenities are available at the next exit. Well, wonder no more thanks to this great road trip app. iExit tells you exactly what you can expect at the next exit, whether that’s restaurants, coffee shops, or gas stations. Google Maps is my go to in general for maps while on the road. It serves well for driving directions, finding places to eat, sleep, camp, etc. You can even scope out areas in advance thanks to Google Street View. Google Maps is an absolute must have road trip app. I do keep a more robust map application on hand however, and that is Locus Map Pro. It does cost a bit of money in the app store, but it is more akin to a real GPS device. You can easily download Open Street Maps online, load up the app with offline data, load up custom GPS points or places of interest, and you can even use it for hiking trails or topographic maps. 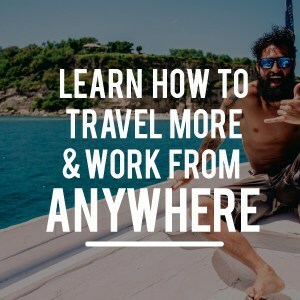 I would download entire areas from iOverlander.com with free or cheap campsites, and then could easily refer to them as I traveled, though iOverlander has it’s own standalone apps now available as well. For those nights where you’ve got a WiFi connection at a hotel or campground and need a good Netflix and Chill type of evening. I much prefer the offerings available on Netflix and being able to choose what I want to watch and when I want to watch it, rather than surfing through endless channels on TV with nothing on. But in order to watch Netflix, you’ll have to ensure that you can get a decent picture quality. The Speedtest app makes it easy to do so. Netflix says that 1.5 Megabits per second is the recommended connection speed, although .5 is the minimum. It also comes in handy for checking the general internet speed while you are at Starbucks or other public WiFi networks. You gotta have a big selection of great tunes while you are on the road to fill those long stretches of highway. Spotify is the way to go, giving you the option to either stream the music or save for offline playback. Just be sure to load up your channels with some sweet road trip songs. Let’s face it, you should plenty of listening material among your road trip apps. But maybe you prefer the variety offered on radio? Avoid the static and dead air as you pass between towns and pick up TuneIn Radio which allows you to connect to live streams from radio stations all over the world. If you are going to spend many hours on the road though, eventually you’ll probably want something other than music. Books on tape are a good option, but I also really enjoy podcasts. Podcast Addict is a great way to manage your podcast subscriptions and files, the best one that I have found. There are podcasts on virtually every subject and across all interests, so I’m sure you can find something that is right up your alley. NPR has a number of classics to check out, but don’t be afraid to explore some independent offerings. Check out my top podcasts for a road trip here. What are your favorite, must-have road trip apps ? Sound off in the comments below. 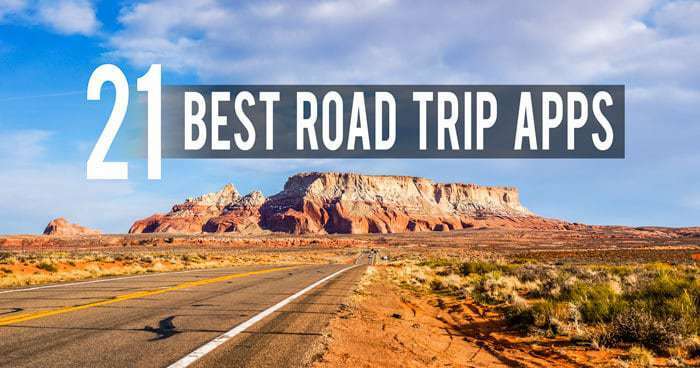 Please take a moment to share these top road trip apps on Facebook, Twitter, or Pinterest. Love road trips? You might like to check out my book The Road Always Leads West for some travel inspiration or road trip reading. I was almost sure I’ll know all apps on the list, but some of them come up from nowhere like iExit, for me personally I can’t travel without the Maps With Me app, works offline and provides more details even for small areas/countries. I also use various translation apps when visiting a country where people doesn’t speak English, you can include one or two in this article. I rode my motorcycle around the country for about 5 weeks and found that having the harley app helped locate dealerships for any parts or supplies needed along the way. Great tip for the motorcycle crowd, thanks for chiming in! I’m surprised you didn’t include any weather apps! I often plan my next destination based on where the weather will be better. I also like mountain-forecast.com for higher elevation forecasts – that way I get get a mountain forecast for peaks in the area to see if it will be worthwhile to head in that direction to go hiking. Ah yeah, that would have been a good addition. Thanks for chiming in, the weather is extremely important while on the road. Mountain-forecast.com is an awesome resource for sure, love seeing the forecasts for various elevations. Use it a lot when mountaineering.